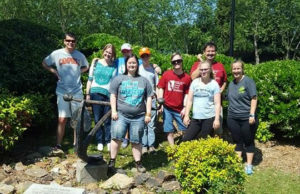 The Midlands Special Needs Foundation (MSNF) began serving special needs individuals and their families in the Midlands of South Carolina in 2006. MSNF consists of parents of special needs individuals and supporters of the special needs community. A board of directors governs the MSNF assisted by an advisory board. MSNF is a non-profit 501(c)(3) charitable organization. The Midlands Special Needs Foundation sponsors our Joy Day Program, which meets Monday – Thursday at our location on the campus of Mt. Horeb United Methodist Church in Lexington, SC. This program, designed for adults with special needs, is an exciting, faith-based program, like no other in our area. Our participants spend time in an on-going learning center. Our program focuses on the needs of the individual, encompasses daily living skills, continuing education through our computer lab and classroom opportunities as well as a healthy lifestyle focus through exercise.